More exciting than Hulk Hogan v. Andre the Giant? Eh, maybe not. But I was recently reminded of one of the questions that came out of this past year’s annual Colorado Antiquarian Book Seminar – what’s the difference between Advance Reading Copies and Advance Review Copies, and is it legal to sell them? 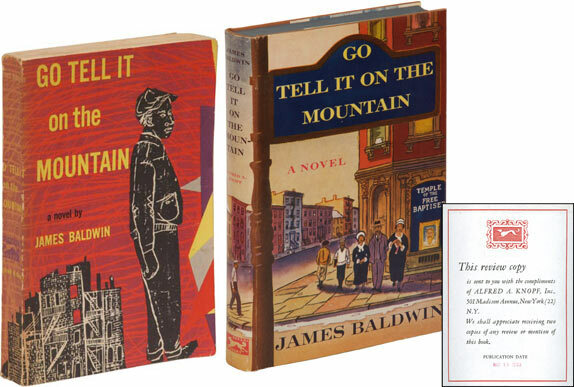 An Advance Reading Copy of Go Tell It On The Mountain sporting the rejected original cover and an Advance Review Copy with the final published artwork. 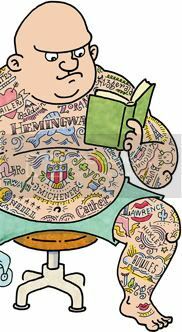 An Advance Reading Copy (ARC) is generally a perfectbound wrappered issue (i.e. looks like a paperback), and usually with artwork which will be featured on the published book. It is a pre-publication version of the book prepared very close, chronologically, to the first edition. It comes after the production of galleys (which are generally used by publishers in-house for editing purposes) and uncorrected proofs (which may also be used for editing, legal vetting, etc., but like ARC’s are often distributed for pre-publication publicity and reviews). It should be noted that different publishers use these terms differently – what one publisher would call an uncorrected proof another publisher would call an Advance Reading Copy. Usually uncorrected proofs do not have artwork on the cover, merely text, but you will find publishers who issue advance copies with artwork and label them uncorrected proofs. An Advance Reading Copy and an Advance Review Copy with author photo, publisher's slip, and promotional material. As to the legality of selling these advance issues, it is a gray area supported on both sides by those who have a dog in the race. Publishers and a few authors get upset when they see advance copies for sale because these copies were distributed for free and thus they (the publishers and the authors) never technically made money on the sale of that particular item. To me this is small minded and petty – they should be glad that there is interest in the work. They also get upset when advance copies are sold on the used and antiquarian market before the book is officially released – this has more credence to my mind because publishers sometimes have an investment in keeping plot points under wraps, as it were, until the release (SPOILER WARNINGS: Dumbledore dies!? Darth Vader is whose father? !, Bruce Willis is a ghost? !, etc. OK, it matters more for movies, but you get the idea). On the other side, lawyers who happen to be booksellers will argue that when you give something away unsolicited and for free, as for example if you have a 3 foot pile of your author’s ARCs at a new book trade show, you also forgo and relinquish any legal ownership of those physical objects. No backsees you might say. You can’t give something away under those circumstances and then complain when it turns out it might have some cash value. Now of course you can sue anybody over anything, and you might win in front of a jury (cf. McDonald’s coffee). But I have never heard of a publisher going after a single independent bookseller, and juries don’t like Goliath very much. Large bookstore chains, including Amazon, have commercial agreements with publishers which explicitly prohibit the sale of advance copies – these agreements are in place because the chains and Amazon have a vested interest in keeping publishers reasonably happy. For them it is an easy concession in a much larger negotiation. 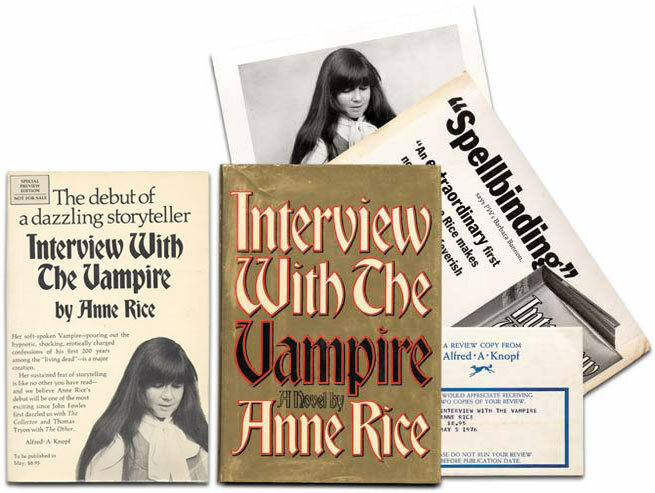 For independent used and antiquarian sellers, who usually have no commercial agreements with publishers, the trade generally has no problem with the sale of advance publication material. Is it okay to post a review of an advanced copy before the release date?